Discover our selection of the best ethical diamonds this April. 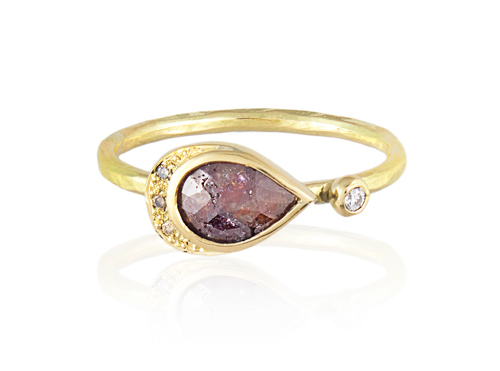 This stunning ring by Ciara Bowles has been created ethically and consciously. 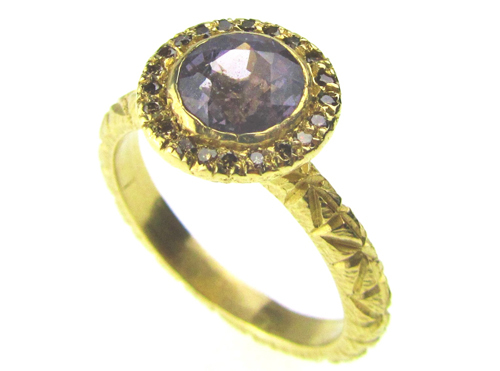 It features a 1.5ct spinel in shades of delicate purples surrounded by a halo of champagne diamonds. Each piece of ANUKA’s jewellery is handcrafted in Cheshire, England from recycled or Fairmined metals ensuring its ethicality and sustainability. 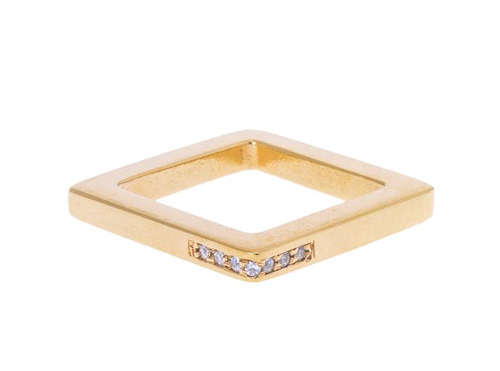 This dainty diamond ring is our favourite! Every diamond that My Fair Diamond uses comes from artisanal mines in the Koidu region of eastern Sierra Leone, which are among the first certified according to the Maendeleo standard of the NGO DDI – Diamond Development Initiative. This ensures respect for human rights, decent work, health, safety and protection of the environment. The sale of diamonds directly benefits miners, their families, and their communities. Ring available at My Fair Diamond. The Rock Hound’s ethical diamond bespoke ring has been urban mined which means to reuse materials that have already been extracted from the earth and used in jewellery. This is a recycling practise that jewellers have always used be it with melting down scrap metals and old jewellery to be redesigned or reclaiming precious gemstones and re-cutting or resetting them to give them a new lease of life in a contemporary setting. 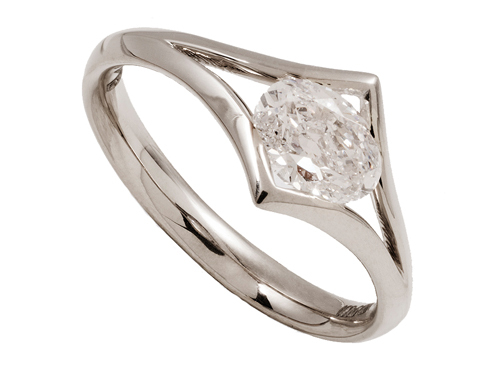 Order a bespoke ethical diamond ring from The Rock Hound. This Ring by Cred Jewellery was crated in honour of the women working in the mining communities where its gold comes from – in Peru – and it is named after a woman within that community. 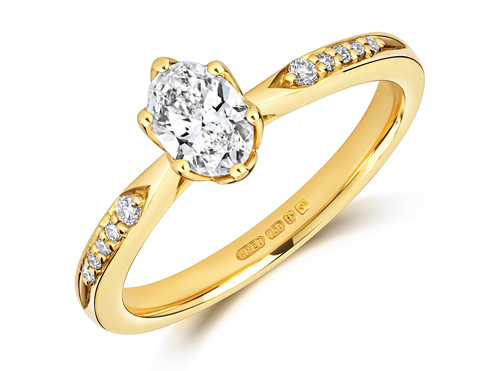 The 0.40ct lab-grown oval diamond is set in a 18ct Fairtrade yellow gold band with lab-grown diamonds on each shoulder. 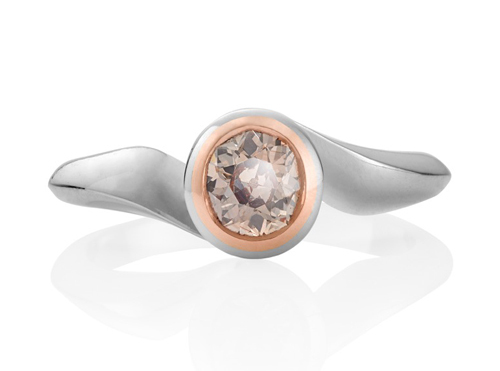 As members of the Responsible Jewellery Council, each of Brown & Newirth’s engagement ring designs are available in Fairtrade Gold. 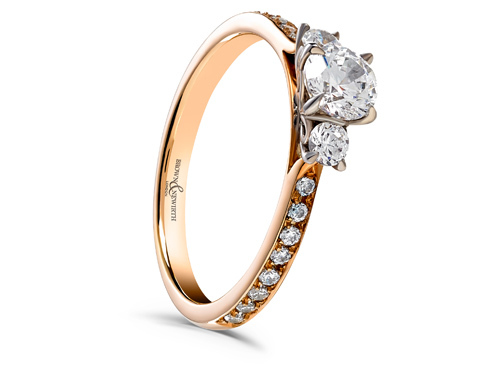 All of its diamonds are Kimberley Process Approved, ensuring they are only sourced from conflict free zones. Ring available at Brown & Newirth. Natalie Perry’s ethical engagement ring has been handcrafted in 18ct recycled gold in London, before being set with an ethically-sourced, traceable cayenne red diamond from Botswana that has been cut in Surat.